Our company has been on the market over 10 years. Our supreme advantages are experience, professionalism and reliability. We always come along with client's needs and expectations. Thousands of satisfied customers give us satisfaction of off well done work. Join our satisfied customers. WK Construction 2 is a premiere kichen and bathroom remodeling contractor and also painting contractor. We are the Aurora Contractors (which is actually a family owned construction management and general contracting company, offering all sorts of design and building services. Their projects include a huge area, ranging from the private houses in Aurora, Carol Stream, IL, hotels, till the smallest of an apartment) and the second is Naperville contractor (The company claims herself to be premier in remodeling and home remodeling contractors Chicago. They are in all sorts of remodeling and designing construction). Milley Creed had said " East or West, Home is the best." Our homes are not only full of great stories about ourselves, but also portrays our mental health and out style of living. We normally tend to surround ourselves with what we like. To start with let's talk about Aurora kitchen remodeling contractor. They are important to many of their clients in Chicago. They are also highly recommended due to their class of design and services in kitchen remodeling. Every room of a house has got its own importance, so lets not compare the rooms rather lets delve in making a prettier living. A proper kitchen and a bathroom remodeling contractor may change your Aurora, Naperville or Carol Steam, Illinois house, no matter what is the standard of the house is. 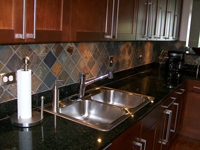 Aurora kitchen remodeling contractor makes it easier to live with the life we are in. They are known for their great designs, and to be honest creativity knows no boarders. Since kitchen is a moisture dominated area, there are chances of different microorganisms to grow and cause nuisance, if not properly cleaned. They thus taking care of the corners and the designing basing on the corners, which are sometimes beyond reach to clean, they keep in mind the material they must use. Normally into the far reaching corners of the kitchen (mainly below the slabs, either steel is used for the drawers, or best kept it open with rotating cases). Aurora bathroom contractor are the other section and the department of the contractor house, where they renovate and give a new look to the bathroom, changing the layout, increasing the storage spaces and giving a real life bathroom make over. The next we have is the Naperville kitchen contractor. They are reliable, dependable and knowledgeable contractors. They are loaded with the latest equipment and technology to be able to carry out just about any kind of job. They are known to take great pride in their work and like any service rendering house, customer satisfaction is their goal. The contractors and the workers too are all licensed. Basement is the place of the house, where often it is used as a small store house. Since the area lacks sunlight and fresh air, there might be water leakage and dampness, which in turn affects the walls of the house. The Naperville basement contractor are actually the best contractors for leaking basement repairs, and this feed back I procured from the neutral rating of customer or clients in New York. After intense work the Naperville painting contractor, Aurora remodeling contractor, Carol Stream remodeling and painting contractor gives a magic stroke over the area. They just don't paint, but paint with the right kind of paint to prevent further damage at least for next 5 years. The types of paints and the materials used in different paints can be learnt through their website.